Learn by Doing permeates all aspects of academic and campus life, and the More than a Motto project serves to highlight, celebrate, and enhance the Learn by Doing experience that guides the Cal Poly community both in and outside of the classroom. The project originated when Brian Greenwood and Dawn Janke were serving together in a leadership capacity for the Center for Teaching, Learning & Technology (CTLT) from 2011-13. 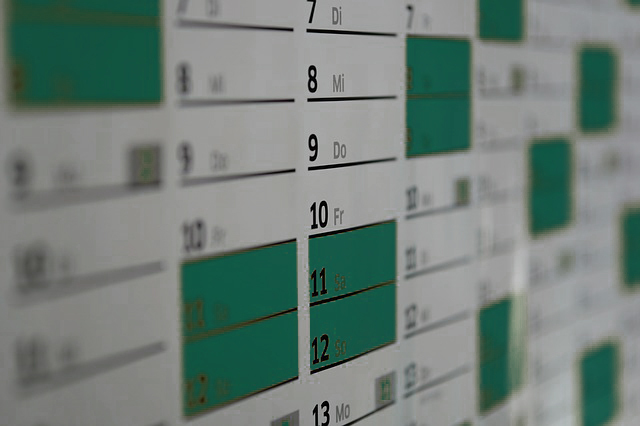 During their time with the CTLT, Greenwood and Janke came in contact with many faculty members interested in enhancing their teaching and increasing Learn by Doing opportunities in their courses. They realized the need for a book to highlight and help promote Learn by Doing for current and prospective students as well as parents, alumni, donors and industry partners. Greenwood and Janke teamed up with Lorraine Donegan, professor in Graphic Communication, and Keri Schwab, assistant professor in Experience Industry Management, and the project was born. 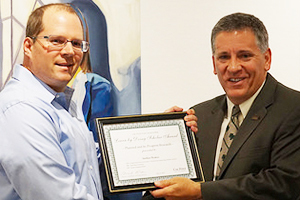 In May of 2015, the More than a Motto project kicked off with an inaugural campus conference. Over 300 attendees learned from faculty, staff, and students about some of the amazing Learn by Doing activities taking place a daily basis across campus. 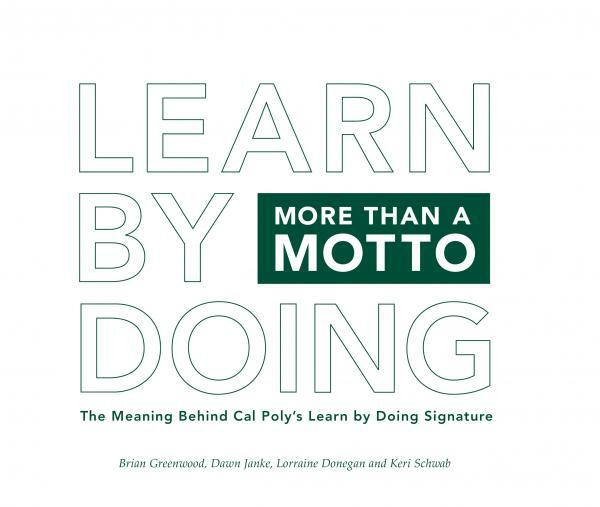 A hardbound display book, More than a Motto: The Meaning Behind Cal Poly’s Learn by Doing Signature, was printed at University Graphic Systems, the student-run campus printing company, and released in May 2017. A complimentary e-book is also in the development process. The More than a Motto book features 22 case studies from across campus that exemplify Learn by Doing in action. But, the entire campus community is responsible for this project. It has been a Learn by Doing endeavor since its inception. Greenwood, Janke, Donegan, and Schwab have involved students, faculty, staff, alumni, and industry partners at all stages of this process. Students, in particular, have played an important role in both conference and book production and will continue to inform the project as it evolves.